Due to the increased responsibility we hold against our customers we continue to support them after the sale of their MV equipment. We make sure that Medium Voltage substations are kept to a very high operating standard using all the latest preventive maintenance tools and instruments. A specialized medium voltage service team is available to increase. 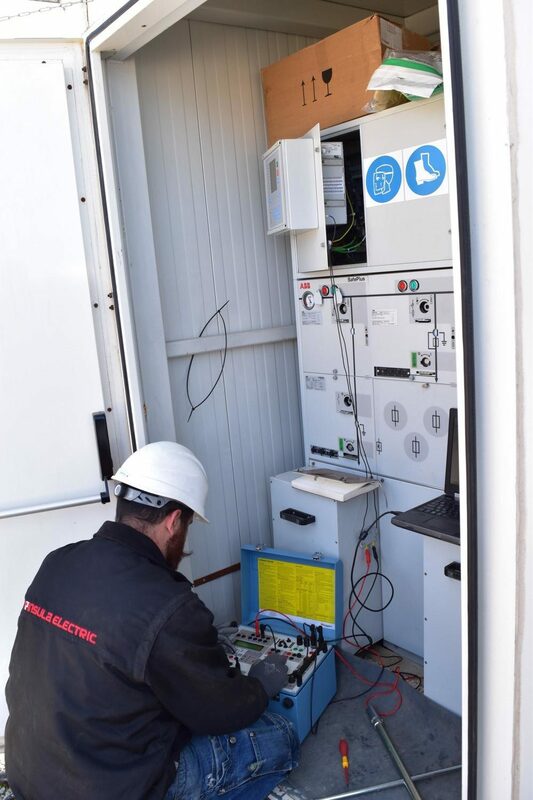 Your power availability by performing high quality preventive maintenance services to your equipment as well as being able to recover serious MV equipment faults in short periods of time. MV cable termination and splicing. 10 KV Polarization , Insulation Resistance, Insulation Discharge test using Megger MIT equipment. MV protection relay current injection testing using PC controlled Megger Sverker equipment. Transformer Turn Ratio tests using Megger TTR instrument. 80KV 50HZ Dielectric withstand test rig . Autonomous 3 Phase Power Analyzer data logger. Ground Resistance testing equipment, Mastech. RCD tester , and current injector, leakage current measurement HT equipment. Z loop Impedance tester HT equipment. Sound Level measurement instrument. Mastech. 800 KW resistive remote controlled load banks.